Radiant Images prints the entire frame of the AXA 360 camera rig with Markforged. The frame consists of high strength printed polygonal brackets bolted together at an angle. 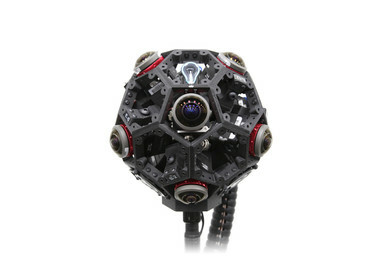 The AXA 360 camera system allows film creators to record seamless high-quality 360 degree video. Before Markforged, Radiant Images machined the frame out of 7075 Aluminum out-of-house — a process that was both slow and yielded a heavy rig. By printing the frame out of Onyx and Carbon Fiber on the Markforged X7 Industrial printer, Radiant Images lighter rigs faster and cheaper than they could before.